The Firewaall+ reinvents the the simple campfire. Beautifully engineered in Canada, this is a stylish and effective way of keeping warm, cooking and grilling in the wilds. 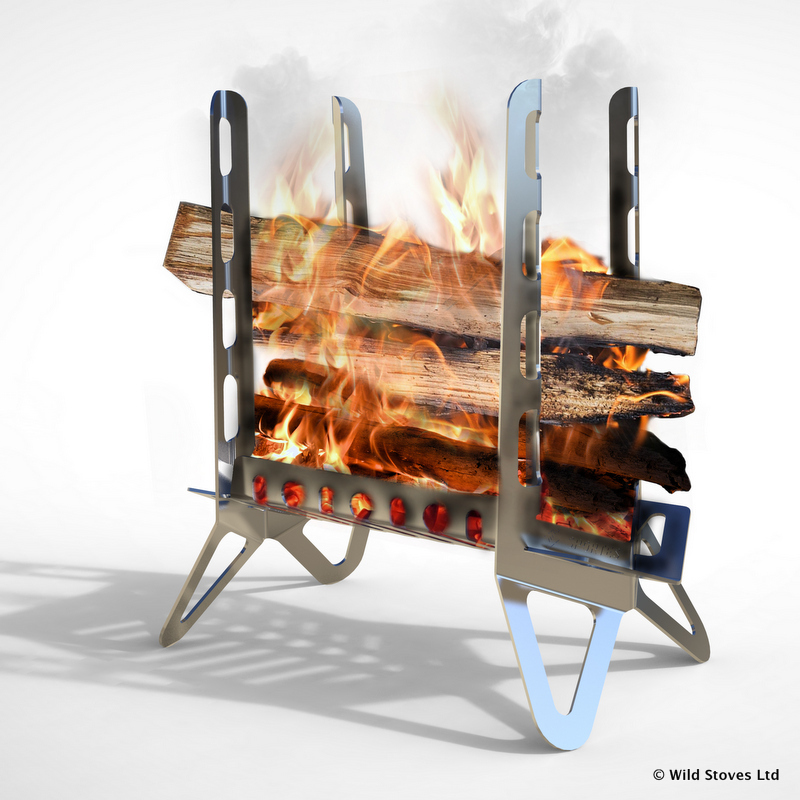 The Firewaall + is unique among all other wood-fuelled outdoor gear Wild Stoves has ever sold. 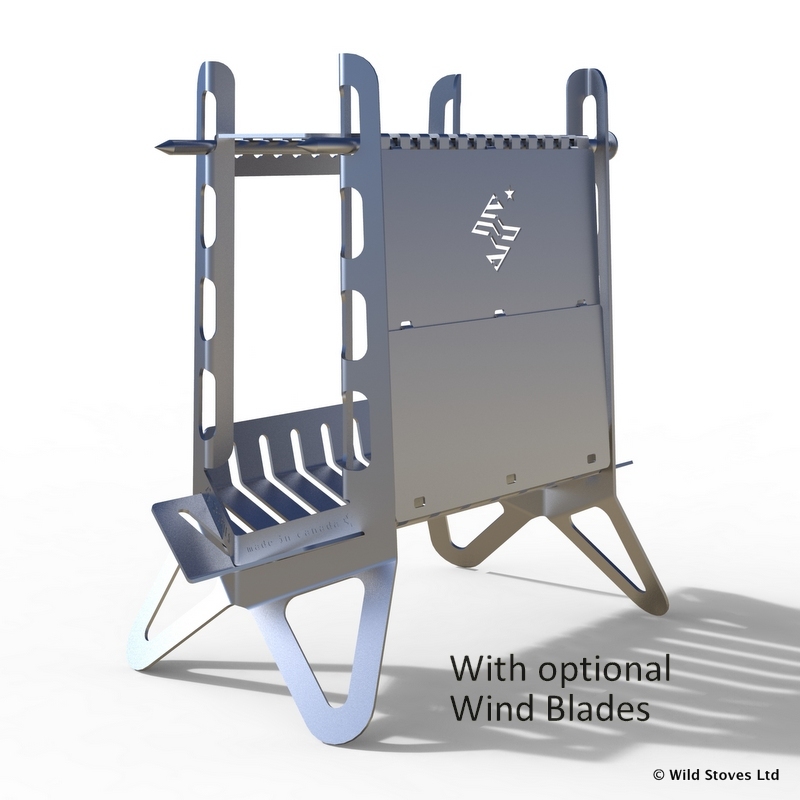 Designed and manufactured in Canada, this is a neat take on the simple campfire, turning it into something convenient, contained and practical. 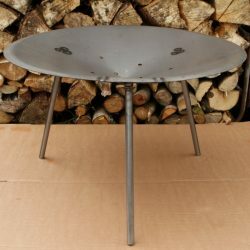 Designed to contain a long fire, the Firewaall+ is the latest design for this laser-cut stainless fire and pot support. 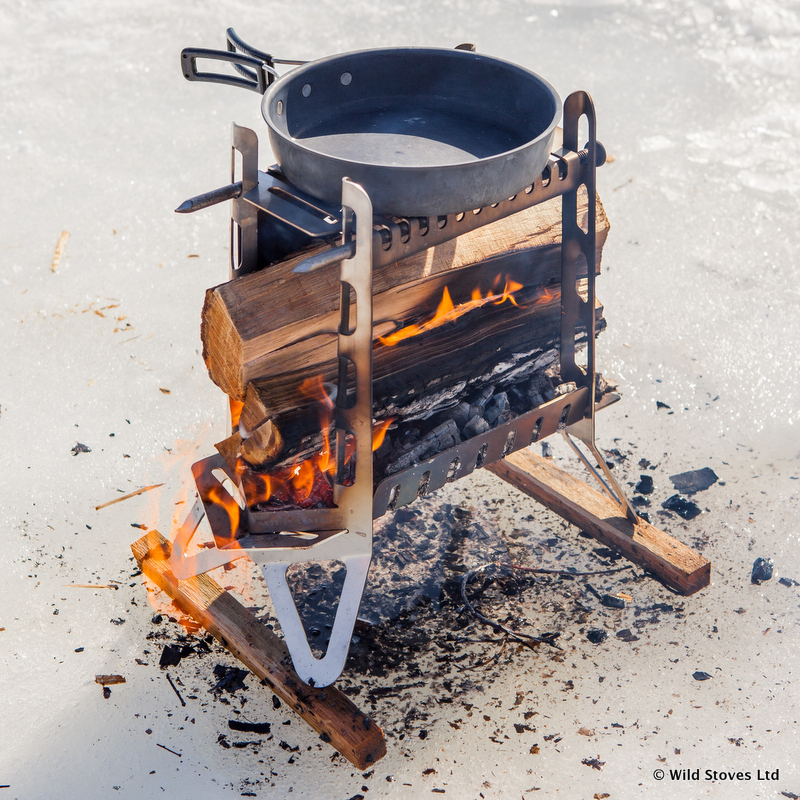 Its length means you get a long fire – a wall of heat – and a 33cm long cooking and grilling surface. 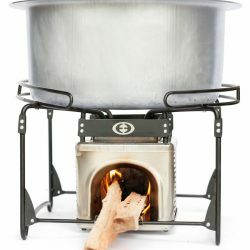 Note the Firewaall is designed for cooking small dishes, and is not large enough for cast-iron skillets or Dutch Ovens etc. 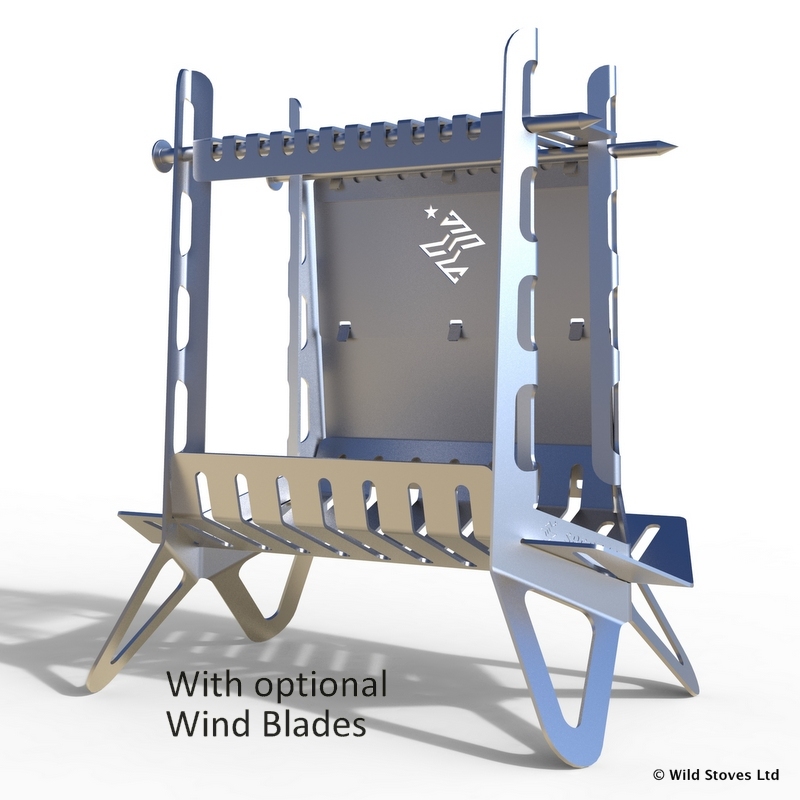 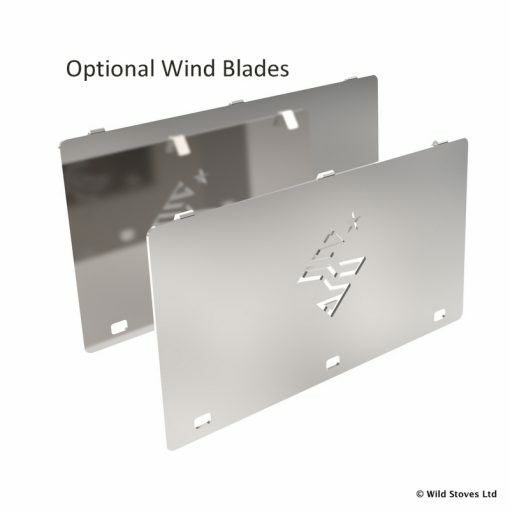 The optional Wind Blades add further wind-proofing, and also reflect all the heat out forwards and upwards, intensifying the campfire warming, as well as the cooking heat. 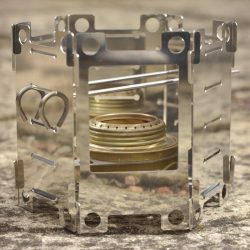 How does the Firewaall + work? 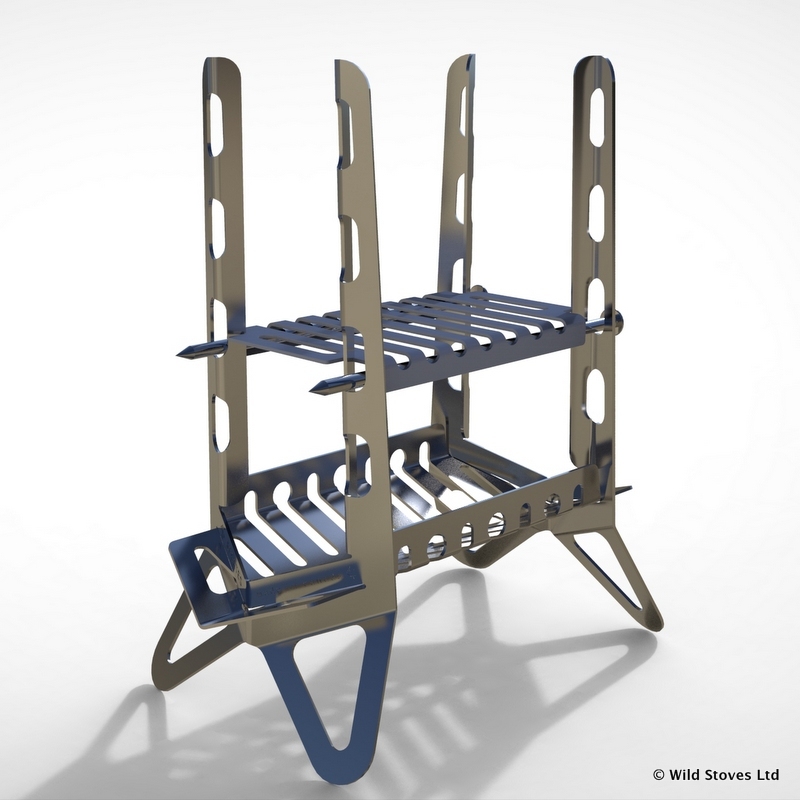 It comprises 4 stainless steel components, plus 2 supporting rods for the grill. You can adjust the height of the grill. 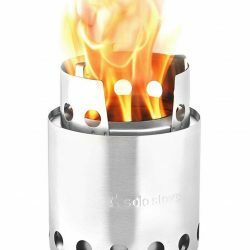 The Firewaall+ is unique and we love it. 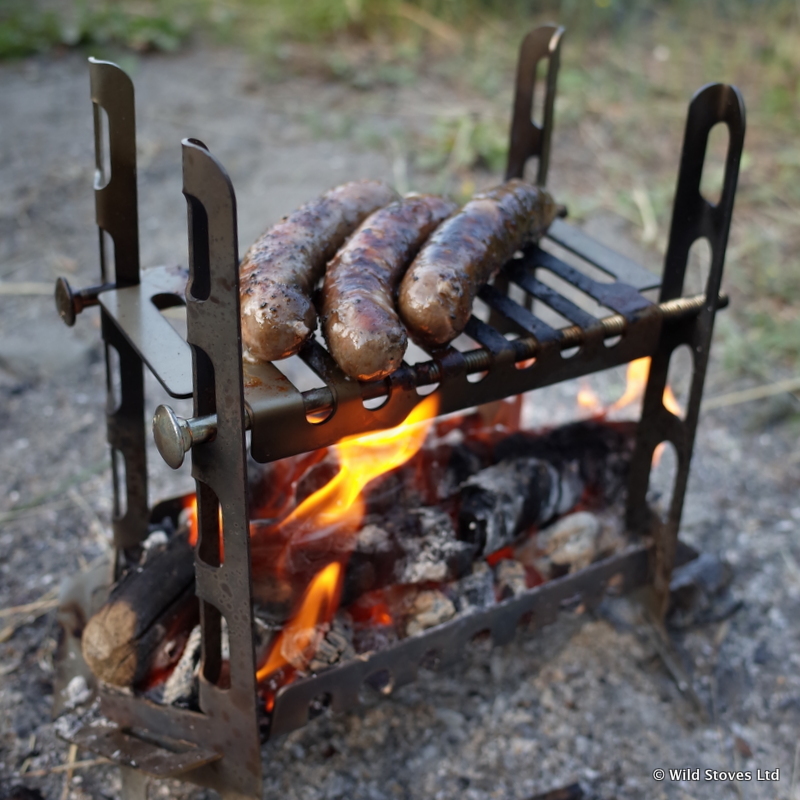 It bridges the gap between the lightweight campfire gear and the real heavy beasts like irepits, tripods and Dutch Ovens. 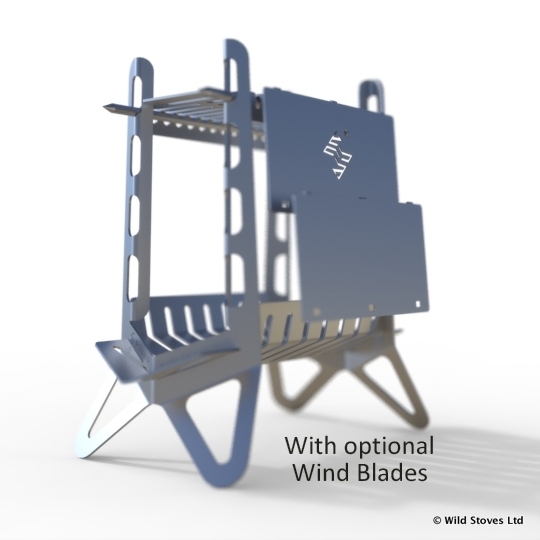 It’s versatile, and it’s also interesting and beautifully engineered. You may find our eco firelighting paper useful for this product.